Our white padded chairs are our most comfortable. 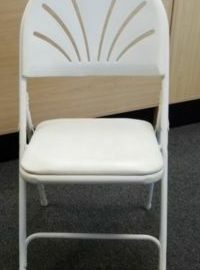 They are perfect for events or dinners where your guests will be sitting for long periods of time. The larger, contoured back and padded cushion make the price difference worth the money!